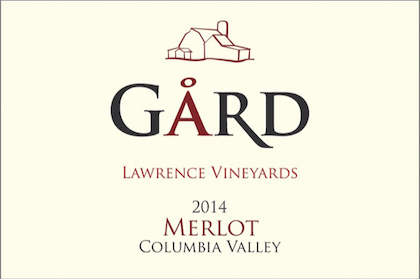 The Lawrence family sustainably farms its four sites along the Royal Slope in the Columbia Valley, and they entrust their grapes to one of Walla Walla’s top winemakers in Aryn Morell. Clone 9 Merlot harvested on Sept. 19 made its way into four barrels, two of them new French oak, for 18 months. and the results are superb. Fascinating aromas of orange zest, Graham cracker and macerated cherries lead to bold flavors of Bing cherry and plum, which pick up Baker’s chocolate and caramel. Broad tannins and pomegranate acidity make for a long finish. Their wines are available at tasting rooms placed across the state in Woodinville at The Junction, downtown Ellensburg on Pearl Street and downtown Walla Walla on Main.